At 4.54pm today, I got an email from Chris Rennard – which presumably went out to all members – promoting the websites of the three candidates for Lib Dem Federal President. 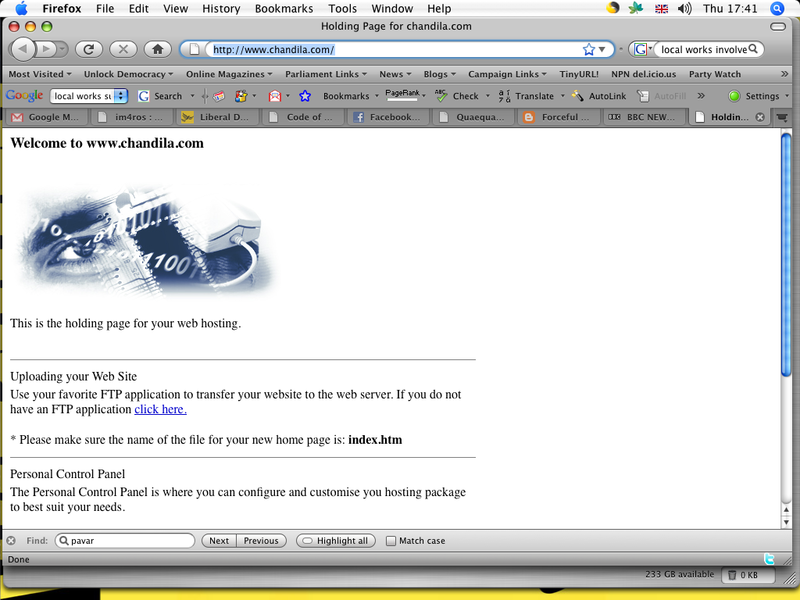 Chandila Fernando’s website currently is short and to the point. For goodness’ sake. It isn’t like the last leadership election where all the candidates were going from a standing start. These eejits have had two years to prepare their campaigns. Is it really to much to expect them to get the basics right, since they are all so keen on prevaricating on the need for the party to be more professional? UPDATE: Fernando’s website is now live. It looks remarkably similar to the Liberal Vision website. Wonder why.